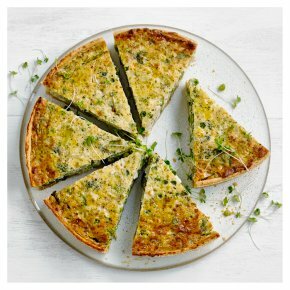 An all-butter pastry case with broccoli, sugar snap peas and mint in a rich free range egg custard. Light, fresh flavours which go beautifully together. Suitable for vegetarians and delicious served hot or cold. Perfect for picnics and parties.